The great thing about garage sale fundraisers is that they are simple to organize. Really, all you need is a collection of things around the house that you no longer want-old clothes, outdated household items, toys that the kids have outgrown, tools and exercise equipment that you no longer use, etc. However many folks go into the garage sale blind. That is, they don't take the necessary time to create a sensible marketing plan for their upcoming sale. 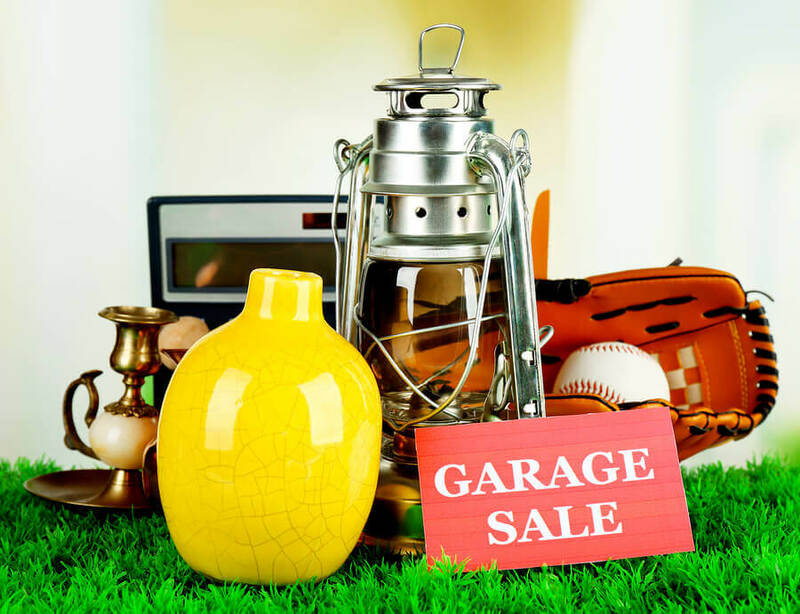 However with the following garage sale tips and trick, you will be on your way to turning your junk into cold hard profits for your organization. Everyone has some old items lying around the house collecting dust. Just ask your friends and family. Chances are that Aunt Jane has a treadmill that she uses to hang clothes instead of it's intended use-working out-and now that his kids are teenagers your brother Jim probably has some old clothes and toys that are taking up valuable storage space. The key to a successful rummage sale is number of items-the more you have, the more people will come out. So ask your friends and family if they are willing to participate in a group garage sale. Along with them members of your group and organization, the added donators of used goods will increase your chances of attracting buyers, and having items in inventory that people will buy. You've seen them hitting the streets at 6am. That couple in their matching State of Florida sun visors and matching leisure suits. The Garage-salers! These are the hard-core rummage sale connoisseurs that you want at your sale. Why? Because they are ready to buy! But how do you expect them to find your yard sale? The real bargain hunters like these peruse the newspapers early-even the day before-to map their rummage sale plan of attack. So get your garage sale in the newspapers-most local papers have a section designated to garage sale advertising, and they typically offer it at a lower price compared to ads that appear in the “standard” classified section. Words can draw a crowd or turn a crowd away. And since you are charged per word for newspaper classified ads, it is a good idea to put some thought into what your garage sale advertisement is going to say before you post it in the paper. Type of sale – is it a fundraiser, a group sale, etc. Offer a teaser of items – this should be a run-down of what you consider your top sellers or draws-so baby clothing, hard to find toys, antiques, collectables, furniture, etc. List name-brands – if your items have highly desired brand names-maybe you're selling a Vespa scooter or a Calvin Klein leather jacket-don't be afraid to spell it out. These are the types of goods that draw folks to sales. For those that don't get the morning paper, street signs are a great way too drawn in passerby traffic to your rummage sale. Make signs out of Bristol board in a highly visible color (think neon yellow), and post them in high-traffic areas around your neighborhood. Make sure your signage is made on thick Bristol board or even a section of a thick cardboard box to ensure it doesn't blow away or get drenched should it rain. The lettering on your sign should stand out and make sure it's thick so that people can read the date of your sale, your address, time and if it's a group sale. Do you have a lot of old paperback books that you want to get rid of? Then dedicate a whole section to books and price them similarly-for example: All Books – 75 cents! Also, if this is a fundraiser, and folks are donating items and profits to your cause, try holding a BOGO sale, which is a “Buy One Get One” Free Sale! Retail stores use this sale tactic for a reason-because it lures customers into stores to purchase multiple items. Well the same can work wonders for your rummage sale. For instance, price all of your books, videos, baby clothing and CDs as BOGO items and watch the sales soar! Make sure your items are clean – Folks know that their buying used, but they don't want to buy dirty items. Make sure your clothing, dishware and toys are clean before putting them up for sale. Fix up what you can – that old lawnmower will look a lot more attractive if it's clean off oil and grass clippings-and it starts for potential buyers. Organize your items into categories – sure garage-salers like to hunt for items, but they appreciate an organized shopping experience. So don't just throw your items in a box on the ground, hang and organize skirts with skirts and t-shirts with t-shirts. If you do place items in a box, label it “baby clothing”, and if you're selling towels or bedding fold it and place it neatly on a table for buyers to peruse. The nicer you make things look; the higher chance they will be purchased. After all, not many people appreciate looking through a dirty box of mismatched items.